I have discovered that I am not a fan of prequels made decades after the original series began. Alien: Covenant looked nice. But baring one or two scenes was very predictable. And not in a good way. Kind of Paint-by-numbers. Unfortunately, my tendency to see all things Alien and Predator were my undoing. We start off with a crew running a colonizing ship – with over 2,000 cryo-sleeping colonists.. We have an android, Walter, running things while the crew sleeps. Something happens and the crew wakes up. They are over 7 years from reaching their destination. They do their repairs and receive a garbled transmission. Of John Denver. Turns out there is a planet way more habitable planet only a few weeks away. They head on over to check out the source of the transmission and look at the planet as an alternate colony location. Of course this planet is where the alien vessel from Prometheus landed. A couple crew get infected and we get some proto-alien shenanigans. Then the android, David, walks up and scares of the proto-aliens. And this is where the movie rapidly leaves the rails for me. Despite the yarn spun by David on how he and Elizabeth from the first movie crashed here, we see the ship come in and hover over an Engineer city. Then David releasing a whole bunch of those pods containing the alien virus. So yeah. David has brought their super weapon back to the Engineers and wiped them out. As well as every other type of animal life, even insects, on the planet. Yet somehow, healthy vegetation is all over the place. We also discover that David has been experimenting with the alien virus for the 10 years he has been on the planet. Part of that experimentation, discovering a dissected cadaver of Elizabeth. And the egg sacks holding face-huggers. Both of which are the results of David’s experiments. Yes, the evil android created the Aliens we all know. I am not sure what motivated him to take an air-borne virus that was so destructive and “improve” it by making it totally biological based. David works to kill off the crew and see how his creation works. So. You have an evil twin android, David, and a hero android, Walter, who look exactly alike – barring some cosmetic damage Walter experienced. You see where this is going, right? The android and 2 crew members make it back to the colony ship in orbit. Total human crew count at this point is 5. Then we get a regular Alien out of one of the crew back from the surface. Then 2 more die before this alien is blasted out an airlock. So the android is putting the 2 crew back into cryo-sleep for their journey to their original destination. And it is revealed that David took Walter’s place. He adds some face-hugger embryos into cold storage alongside the colonists and the ship goes on its merry way. 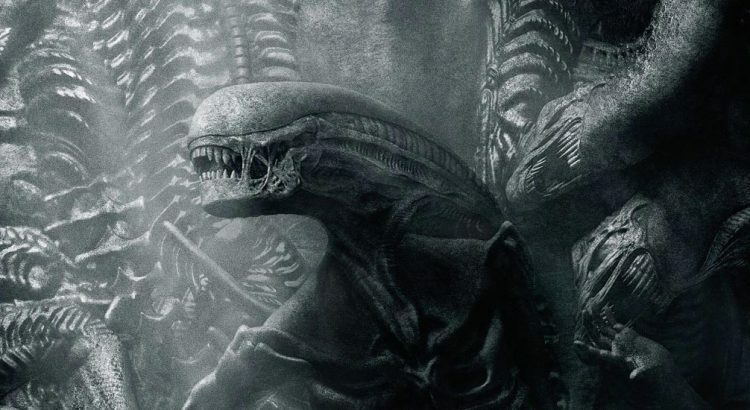 I kind of want Ridley Scott to stay away from this franchise now. I did not love Prometheus. I felt like they were trying to not make it part of the Alien franchise. Now this movie desperately needs to link them together.